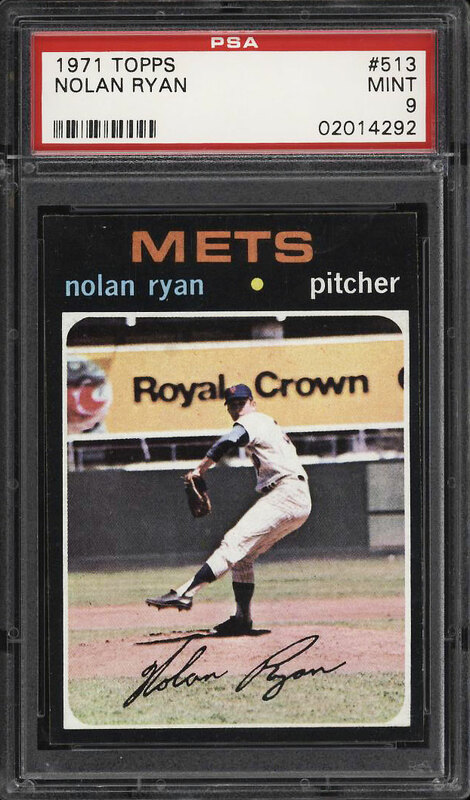 Among Nolan Ryan's most attractive and highly condition sensitive issues. 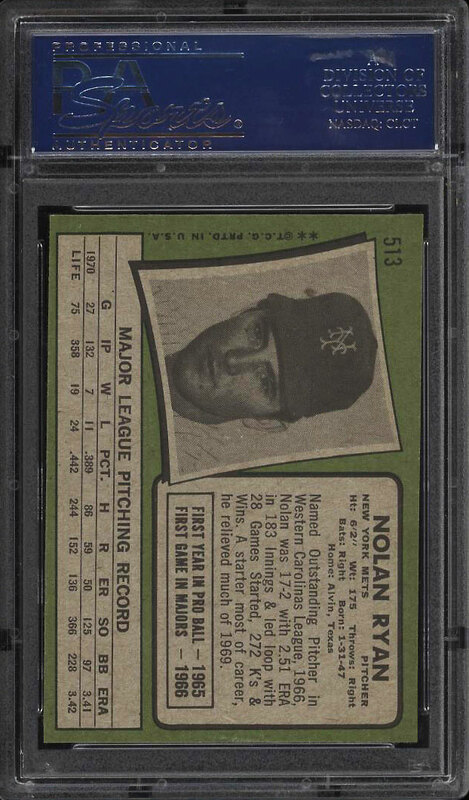 Rarely is this card seen on eBay in PSA 9 as investors have stashed nearly all of them away. The offered specimen displays four sharp corners with chip free edges; a rare quality for the tough black border issue. Strong MINT card stock with beautiful color and clarity. Everything is where it's supposed to be when upholding the lofty assessment. Deserving of attention. One of over 13,000 cards, lots and sets up for bid in our 5th Auction of 2018. Click on the link above to view the other PWCC auction lots.